Thanks for your wonderful feedback. This update includes several bug fixes and improvements based on your feedback! These would be great games, but there are major programming glitches. On the scoring page the score doesn’t equal the card count and canastas shown. At least once I noticed that one portion of the two players scores were actually swapped. The little box that shows up below each meld showing the number of cards and points seems to randomly disappear. Or the bar shows up but there are no cards showing, so you have no idea what cards are in that meld. The little icon for a full canasta suddenly shows up in my hand of cards not yet played and disappears entirely from the meld. In Hand & Foot when you start a new hand, sometimes the draw pile is there and sometimes it isn’t. When that happened mid game I tried to back out to the Home page then resume the game, but instead of resuming the current Hand & Foot Game, it resumed a Canasta game that I never started. So while you know whether you won an actual hand or not, you have no idea if the score is accurate or if the meld and canastas that appeared during the game and sometimes disappeared were counted or not. The software worked well for me. I haven't seen any bugs. My biggest complaint is that the software package doesn't offer "traditional" Canasta. Instead, the game offers a beginner's version of Canasta: Initial meld rules are simplified, you're given a head start on points, and the game prompts you with pulsing lights on what moves you can make. You're even allowed to "cheat" and ask for an extra joker if you want it. So it's not really for the experienced player. 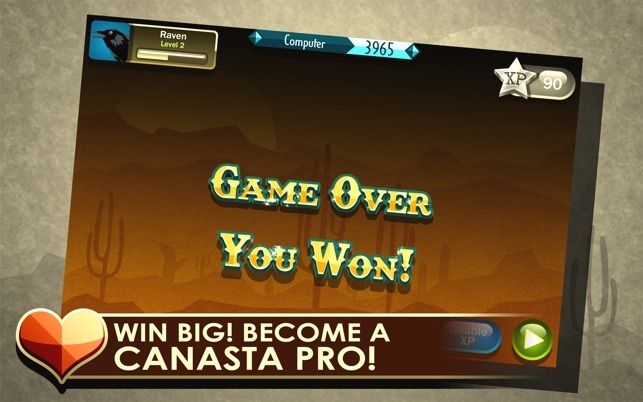 But this software would be a great way for a beginner to get into Canasta. 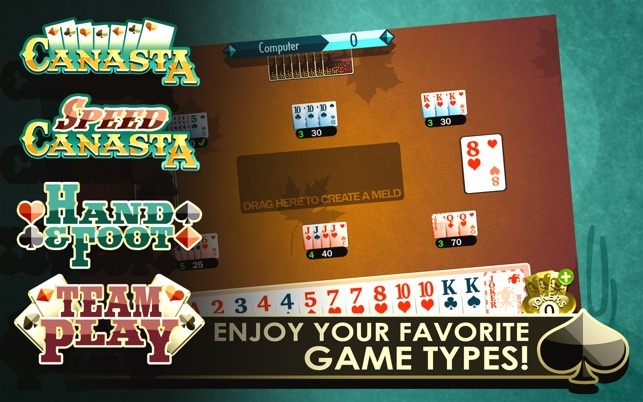 The game starts you off with 2-handed Canasta, which is an easier version of Canasta. 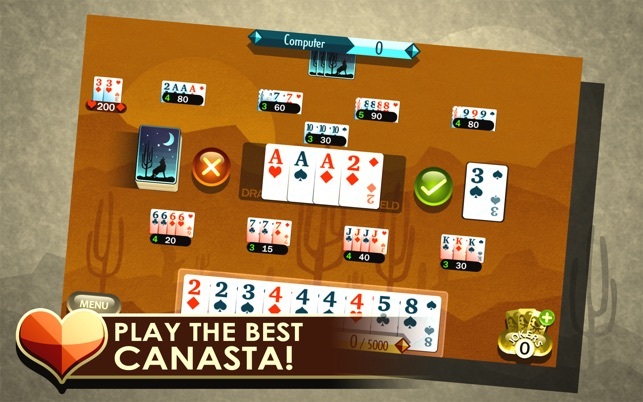 You can continue to play 2-handed Canasta as long as you want after the initial purchase. If you want to play 4-handed Canasta, you have to unlock it by buying tokens for $5 in-game. 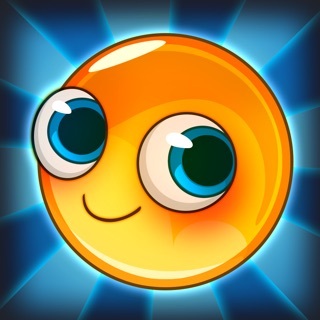 (The game automatically makes the purchase through the Apple store.) 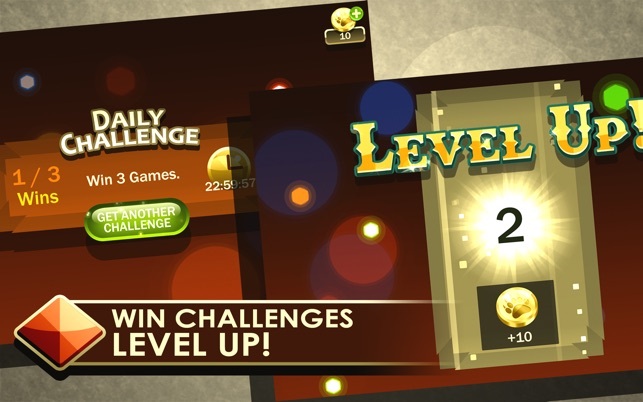 Or you can earn in-game tokens by leveling up at 2-handed Canasta, but that will take quite a long time. 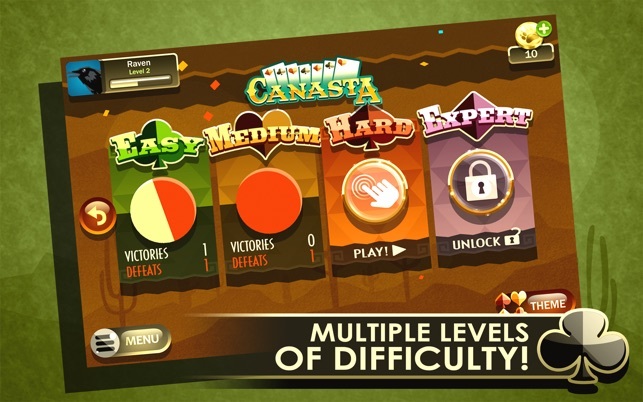 There's also a third game available called Hand and Foot Canasta, but I haven't unlocked it yet and haven't played it. Thank you for the Hand & Foot game. So fun!! My mom and I are hooked on it. Only glitch I have found is that computer will meld 2 wild card canasta's when it could be completing the one it needs to go out . . . but North Sky is aware of that and working on fixing it. Love, love, love the game. This is the only app that I have ever paid money for - and so worth every penny. Thank you North Sky! © 2016 North Sky Games Inc.